High quality floor underlayment primer and sealer in one. 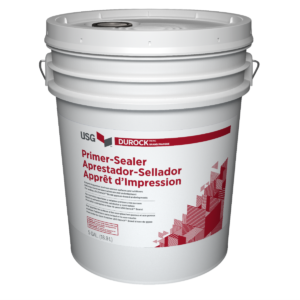 Durock Brand Primer-Sealer is a high-solids sealant for priming highly porous concrete, precast concrete, wood subfloors, and oriented strand boards (OSB). Ideal for priming surfaces and subfloors prior to application of poured underlayment.